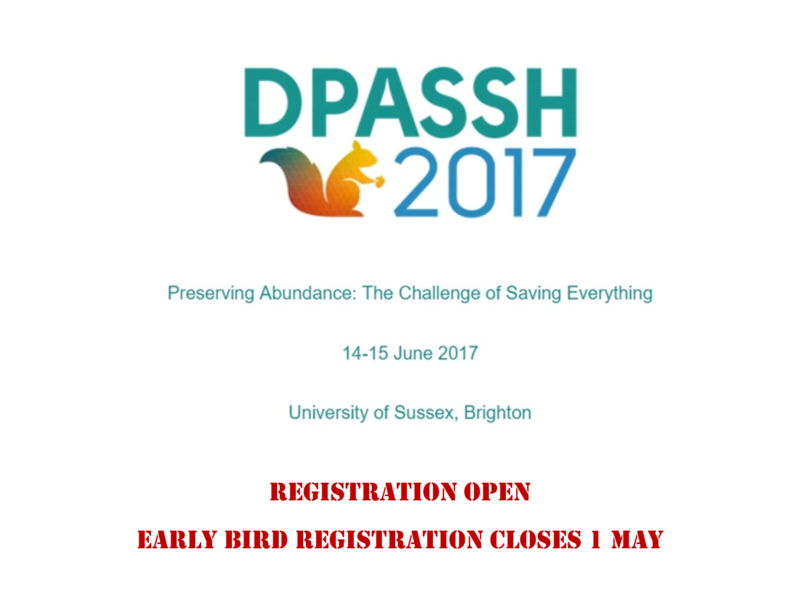 The Sussex Humanities Lab and the Digital Repository of Ireland are pleased to announce that the second Digital Preservation for the Arts, Social Science, and Humanities conference will take place 14-15 June 2017 at the University of Sussex, Brighton. 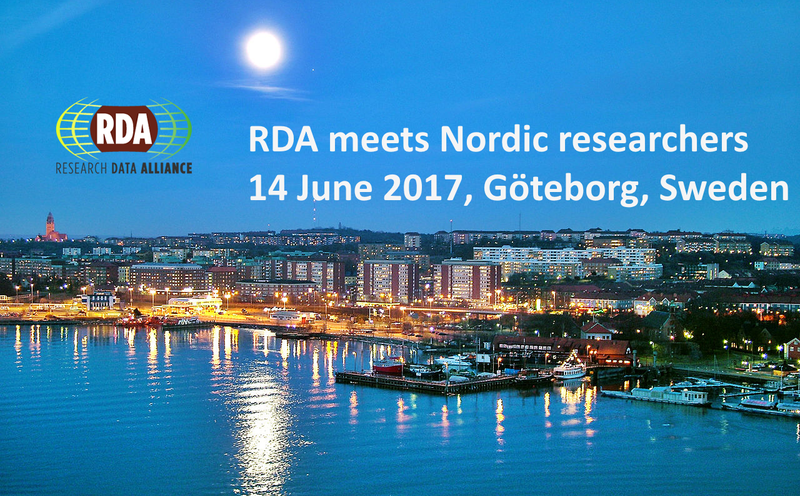 The next (7th) WG/IG Collaboration Meeting will be held on June 12-14 and will be hosted by Gothenburg University in Gothenburg Sweden, site of the very first RDA Plenary. As discussed at the last WG/IG Collaboration Meeting and, subsequently, on the Chairs mail list, this version will be extended to three days as opposed to the usual two, starting the afternoon of the 12th and ending at noon on the 14th, followed by an optional half-day side meeting on the topic of commercial views on data sharing. Learn how to do FAIR compliant professional Data Management. Experience and practice with the latest software to manage and analyse data. RDA Europe and IoT Forum are pleased to announced the "Globally Interoperable IoT Identification and Data Processing" Workshop that will take place 6 June 2017 during IoT Week in Geneva. Experts such as Robert Kahn (one of the two inventors of TCP/IP) will discuss about concepts that may open the doors for efficient data processing in the future. NIST will host its 2nd NIST Big Data Public Working Group (NBD-PWG) workshop for NIST Big Data Interoperability Framework (NBDIF) with the theme of Towards a Standard Ecosystem for Big Data Applications and Analytics on June 1-2, 2017 at NIST, Gaithersburg, Maryland. 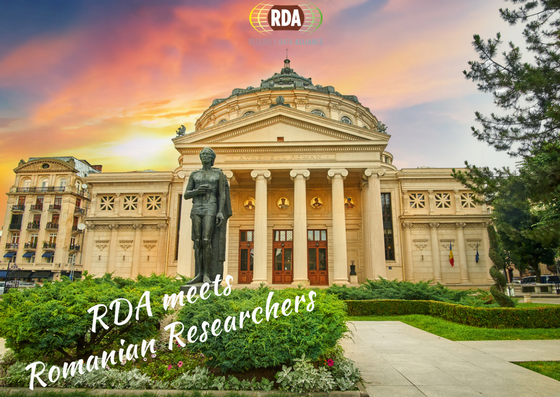 The European branch of the Research Data Alliance, RDA Europe, is organising a series of RDA events through Europe. The aim if this event is to make the work of the RDA better known and to lower the effort to participate in the RDA activities in general and the Working and Interest groups in particular. 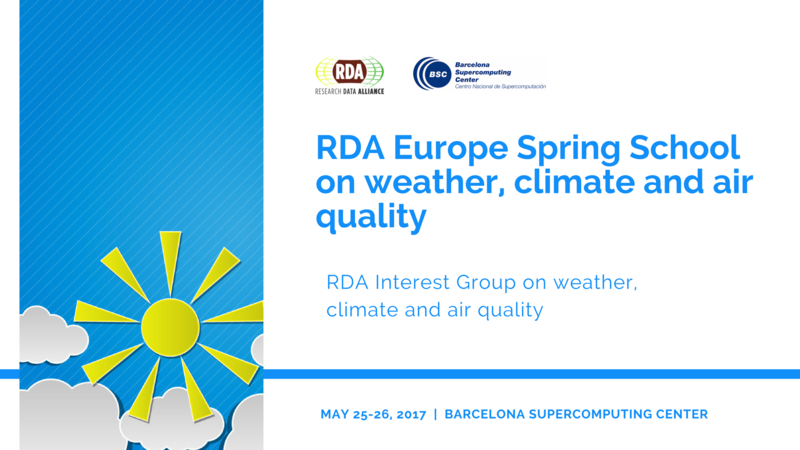 The RDA Interest Group on weather, climate and air quality, RDA Europe and the Barcelona Supercomputing Center (BSC-CNS) are organising a 2-day Spring School this May 25 to 26, in Barcelona. Lessons will consist in a mix of lectures and hands-on session. The course will take place on Thursday and Friday, organised in four modules provided in English. The Research Data Alliance in Europe holds an annual science workshop. Previous workshops were in Munich 10 - 11 February 2014 co-organised with the Max Planck Society , the next one was in Geneva 8-9 April 2015 co-organised with CERN, and the third in Paris 19 - 20 April 2016 co-organised with CNRS. We are delighted to announce that the RDA Europe Science workshop 2017 will be held in London, co-organised with the Wellcome Trust.